Android users now have a new option for earning money by simply using their phones, as Slidejoy has announced the launch of its app of the same name. The app is similar to Cashslide (and previously Locket), as users are paid to view ads presented on their phone’s screen. 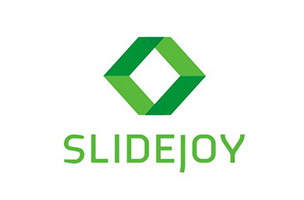 After signing up for Slidejoy, users are presented with an ad each time they turn on their phone. Users can swipe left to engage with the ad and learn more about its content, or can swipe right to simply unlock their phone. Either way, users earn the same amount of money per swipe. Ads may redirect users to a specific website, a YouTube video, the Google Play store or a coupon page, as examples. Over time, the program’s machine-learning algorithm tracks the previous behaviors of users to identify the ads and content that are most relevant and profitable to them. Users can cash out their earnings via Square Cash or choose to donate their earnings to charity. The platform targets to give users between $5 to $15 per month, with this range increasing as the algorithm learns a user’s habits. Slidejoy is now available to download for free on the Google Play store. Slidejoy expects its iOS app to launch by the Fall of 2014.